Do you bed-share with your baby? Would you happily admit it in public? Are you doing it safely? During my Baby Sleep Workshops, the subject of bed-sharing invariably comes up (I’m using the term bed-sharing as co-sleeping refers to simply sharing a room with your baby). If I ask a group of mums whether they have ever bed shared I can pretty much predict that everyone will raise their hand. In fact all but one parent I have ever asked has said that at some point they have slept with their baby in their bed. Today, the media is awash with articles about bed sharing – apparently it’s very dangerous and we shouldn’t do it with our babies. This news derives from the publication of draft revised guidelines from the National Institute for Health & Care Excellence (“NICE”) in relation to bed sharing. The recommendations, relevant for infants from birth until 1 year of age, say that midwives, GPs and health visitors should ensure parents and carers are told of the link between co-sleeping (falling asleep with a baby in a bed, or on a sofa or armchair) and Sudden Infant Death Syndrome (“SIDS”). – Advise parents and carers that the association between co-sleeping and SIDS is likely to be greater when they, or their partner, smoke. – Inform parents and carers that the association between co-sleeping and SIDS potentially increases if they have used drugs and/or recently drunk alcohol. – Tell parents and carers that the association between co-sleeping and SIDS potentially increases if their child had a low birth weight or was born prematurely. The reality going forward is most probably that healthcare professionals will advise that all bed-sharing is dangerous whilst parents will at some point bed share for a variety of reasons. There are factors that make bed sharing riskier and there are a lot of things you can do to make the environment safer, so isn’t it better that we have that discussion and provide parents with information that helps them to make safer decisions, rather than exasperated, information-poor, middle of the night decisions? 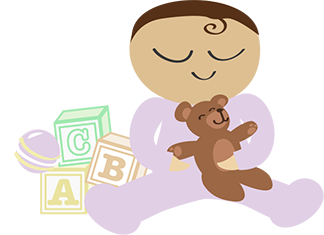 If you think that at some point you might find yourself bed sharing with your baby, and would like to know more about some of the risk factors, come to one of my BabyCalm courses or workshops to find out more. The next FREE Baby Sleep Hour is at Beanies tomorrow, Friday 4th July. The next 3 hour BabyCalm Sleep Workshop is Friday 11th July. Let me know if you would like to attend either session. This entry was posted in Baby Sleep, BabyCalm, Bed Share, Birth Professional, Bonding, Parenting, Sleep and tagged baby, bed share, co-sleep, croydon, How to calm a baby, parents. Bookmark the permalink.